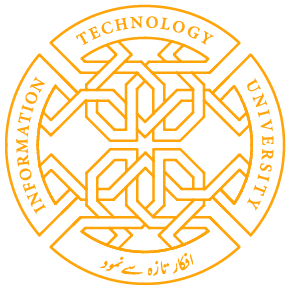 Pakistan Cricket enters into a new era of using technology with the Information Technology University (ITU)’s cricket analytics platform being rolled out with the Pakistan Cricket Board to cover PSL, which will allow analysis of each player, aids with selection and enables scientific coaching.Dr. Umar Saif founding Vice Chancellor Information Technology University of the Punjab said after the signing of a Memorandum of Understanding (MoU) withNajam Aziz Sethi Chairman Pakistan Cricket Board (PCB) at Qaddafi Stadium here today. Dr. Umar Saif further said, “We have been silently working with PCB on this project since May 2017. This is totally unprecedented in cricket world that performance of cricket players is being digitally measured from the grass-root level. This will change the map of the Pakistan cricket for the better and help selectors, coaches, and fitness gurus make better qualitative decisions for our cricket team. Insights – a unique match analysis and scoring facility developed by ITU for upcoming edition of Pakistan Super League and domestic matches in Pakistan including Quaid-e-Azam trophy, Pakistan Cup, etc. Detailed evaluation sessions were conducted with these mentors and PCB support staff such as analysts, scorers, trainers and other coaches. The data collected, both of matches and individuals will help to draw both concrete and soft analytical resultsto track the performance of a player from grass root level to the top, identify weak and strong areas for batters, identify the trends and factors affecting the bowling performance of every individual bowler, work on the improvements of his flaws and team selection. E.g. if the system identifies that a player is good against spin, he can be selected to play in spin friendly conditions. On the flip side, if a player is found weak against spin, remedy work can be started. Insights will be used in the upcoming edition of PSL 3. In the past, this platform is already used to collect data and draw results on various cricket games, including independence cup and some other domestic tournaments. The system can be used simultaneously by two users for entering the details of a same match to cover it with greater precision, i.e. a scorer can add scores whereas an analyst can add pitch and field information etc. User can also enter in details happenings of every delivery e.g. if a four was hit, user can select, from a prepopulated list, the shot name, if the players timed it or it was a mishit. Similarly, the details of a batter’s dismissal, a run, a dot, or a six, all different types of scoring events can be recorded just in few clicks. Insights is an expert player profiling system developed by research team 0f ITU for PCB. The system contains a parallel scoring application, both on web and android, where the scores for the matches with the minutest details are entered using just an android tablet which makes it very cost effective. The scorer can enter lots of additional information alongside scores like field placement, pitch and weather information, ball pitch spot, swing & height estimation and toss information. Share the post "PAKISTAN CRICKET ENTERS INTO NEW ERA OF TECHNOLOGY USE THROUGH ANDROID CRICKET APP"